Much could be said about Kuyper’s view, and the wonderful Common Grace translation project will provide important clarity about the relationship between common grace and particular grace, and the correlative relationship between the institutional church (think: “means of grace” and “marks of the church”) and the church as organism. We offer some notes below the diagram. 1. The human heart is the “seat” of the Trinitarian activity of grace, the focal point and integration point of all Christian (i.e., fully human) personality and personal existence.But this is a heart-in-community. 2. It is the regenerate heart, the redeemed heart, that is occupied by King Jesus, who rules by his Word and Spirit. 3. 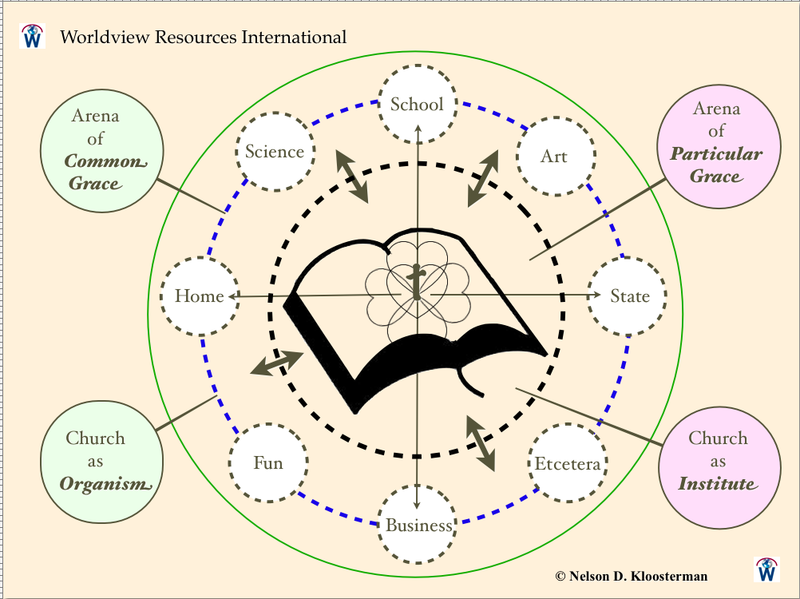 The inner black dotted circle represents the activity and sphere of particular grace, namely, the institutional church. It is a dotted line because the influence and effects of the means of grace flow beyond the institutional church into all of life. Particular grace is the foundation and seasoning of common grace. Never, ever would Kuyper have separated, isolated, or disjoined particular grace from common grace. The proper functioning of the latter depends upon the effectual functioning of the former. 4. This “inter-penetrating” symbiotic functioning of particular grace and common grace (note the heavy bi-directional arrows) takes shape when God’s “gathered people” become God’s “dispersed people,” so that the activities of the church-as-organism begin to permeate the arena of common grace. 5. Notice that here, the institutional church is not just one sphere alongside all other spheres of human activity. The institutional church is sui generis (one of a kind), and as K. Schilder said, it is the hearth of all genuinely Christian cultural obedience. The other spheres of Christian (i.e., fully human) activity are arranged concentrically around the institutional church. Again, note the dotted line of the institutional church, indicating that the ministry of the institutional church has “something to say” about Christian (i.e., fully human) living in society. 6. Notice the solid green line at the outside of the illustration. This represents the world, encompassing all of human culture and activity. 7. The communal activity of Christians in various spheres of activity is connected by another (blue) dotted line, to indicate the missional character of Christian (i.e., fully human) cultural obedience. This must become in our generation the “new” feature of Calvinism, whereby Calvinist Christians realize that such communal activities and organizations are not pursued primarily, exclusively, and structurally “for us,” but really “for the world,” in the fullest proper biblical sense, as taught, for example, in Matthew 5:13-16. Does the Holy Spirit work only in believers? How must we explain the gifts of unbelieving scholars and artists? To these questions Reformed New Testament professor Dr. Jakob van Bruggen provides a succinctly helpful answer. In the entire creation-work of God the Father, the Son and the Spirit are co-creating. The Spirit hovered above the waters. And through the Word everything that exists came into being. To that creation belongs also every good gift that comes down from the Father of lights (James 1:17). The devil breaks what God creates, but he himself cannot produce anything beautiful or good, because what is beautiful and good comes from a pure source. Fortunately the world is still full of God’s creating and preserving work, not only in plants and animals, but also in people and their special beauty or extraordinary gifts. The great sin of human beings is that they proceed to develop that beauty and often exploit it as though it were their own possession. And their sin is that they proceed to develop their own particular abilities as they see fit and often with pride. Nevertheless this sin of human beings cannot obstruct the reality that there are good gifts and with them God accomplishes his own work. Perhaps the symphony conductor is condemned because of pride while at the same time his musical performances may be an encouragement to many people (assuming that such performances indeed served the beauty of sound that comes from God). For some Christians it is perhaps confusing that the Spirit who is given to us in Christ should also be at work in technicians or artists who are totally unbelieving. We could distinguish between the work that the Spirit performs as Creator (proceeding from the Father and the eternal Son) and the work that he performs as Redeemer (proceeding from the Father through the incarnate Son who now sits at the Father’s right hand). This distinction signifies no separation, for the creating and maintaining work of the Triune God is tied to his redeeming and restoring work. Dr. J. van Bruggen is emeritus professor of New Testament at the Theological University in Kampen. He is also the editor of the recently completed New Testament Commentary series. You can find his personal website, and his succinct response in Dutch, here. Some are claiming that a Christian school does not provide Christian education, since that commodity is found only in the church. The attributive noun “Christian” is suitable for describing only those matters directly related to the Christian gospel, like worship, church education, and things church-related. Allegedly, the most we can say regarding, for example, “Christian” education is that the noun “Christian” describes not the process or the product, but only the person teaching, and the latter only in terms of motivation. By now readers will have discerned that the questions surrounding the unique character and significance of Christian cultural activity are far from benign. Snickers about “Christian plumbing” and “Christian football” notwithstanding, many North American believers refuse to settle for a “Sunday only” expression of Christian faith because they yearn for the healthy integration of faith and life. With this brief post we’d like to direct you to a very significant chapter from a translated book that is awaiting publication. 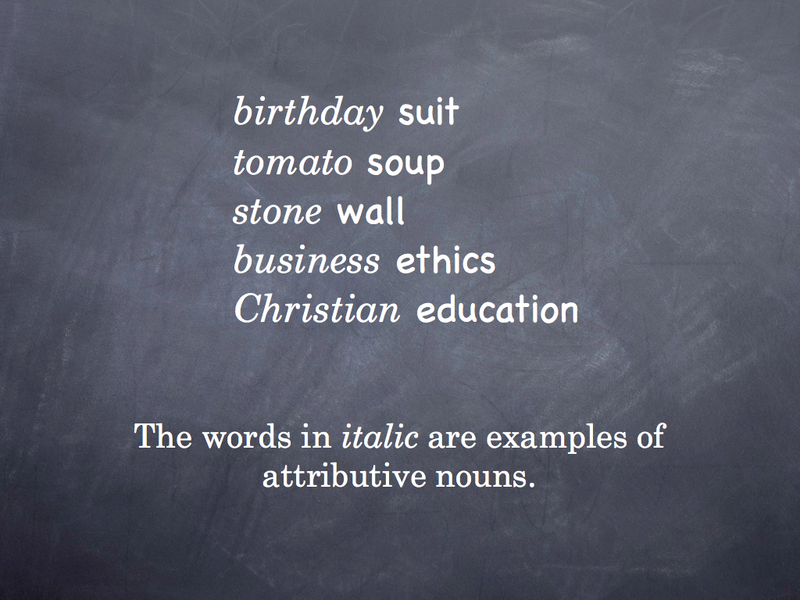 What is distinctive about ethics? What is distinctive about Christian ethics? A utilitarian or deontological starting point? A morality standing on its own feet? Does Christian ethics deal only with Christian motivation? Here you will find a substantive, competent, and classically Reformed analysis of one of the issues lying at the heart of the current NL2K discussion. It deserves—and will repay—careful study and reflection. It seems that our previous blog posts (1) and (2) on this topic have caught the attention of a variety of folks, some critical, some sympathetic. I begin this third installment with a provisional apology, both to readers of those previous posts and to Dr. Noe himself, for apparently having failed to grasp his point. My continuing confusion will be apparent if you first reread those earlier posts, together with my statements of incredulity and alarm, and then read the following. For Dr. Noe has now sought to clarify his original essay, published online by the OPC magazine, Ordained Servant Online, by replacing his original example of a Tour de France cyclist finishing the race on Sunday with that of a suit maker, and by indicating that his original essay wasn’t dealing at all with Christian day schools. And, though I want to keep my powder mostly dry in case there are multiple heated replies to OS and I get from the editor a chance to respond, I would note, contra some webetary, that Christian day schools are not at all discussed in the article. I think there are good reasons for Christian schools (schools run by and for Christians – I teach at two of them right now). My focus was on whether there would be observable differences in matters that did not relate directly to the content of special revelation. And even there, I expect there will be some differences, as I believe my argument allowed, but that these primarily concern our reasons for teaching and thus are known, for now, only to the Lord. Such differences are still important, cf. WCF XVI. We must be encouraged to learn that Dr. Noe thinks there are good reasons for Christian day schools. He himself is a Christian school teacher. Not wanting to risk making additional erroneous claims or sounding needless alarms, I’ll simply offer a summary of this latest clarification and ask a question for the purpose of gaining clarity. (1) Christian day schools are not at all discussed in the original OS essay. (2) Dr. Noe thinks Christian day schools—schools run for and by Christians—are defensible. (3) The original focus of the OS essay was on whether there would be observable differences in matters not directly relating to the content of special revelation. Notice that his original conclusion, however, seems to remain unaltered: Outside the church there is no such thing as Christian education. For gaining clarity and resolving confusion, I ask the reader to ponder this single question: What service do Christian day schools provide—if not Christian education? Or, to ask it another way: What kind of education does a teacher at a Christian school provide, if not Christian education? Our assumption is that as historically understood and ideally practiced, Christian day schools are in the business of providing . . . Christian education. That is their claim, their promise, their raison d’être. This is not the first time that people have offered vigorous criticism of public comments made by leaders in the Reformed and Presbyterian community that seemed to be hostile toward Christian day school education. For the second time now, such criticism is being greeted with the response of: “What are you people getting so upset about?”—followed by either an institutional or a personal assurance to the masses that such implicit or explicit hostility toward Christian education does not entail opposition toward Christian day schools. Evidence? Either “we send our own children to Christian schools,” or “we teach at a Christian school.” Leaving the discerning observer to ask: Why? If y’all believe there is no such thing as Christian education outside the church, then why use Christian schools? Step 1: We are given an argument whose necessary implication—or in this case, explicit claim—is dismissive of Christian education as historically understood and ideally practiced in the Reformed and Presbyterian community. Step 2: That argument is met by accurate analysis and accompanying concern. Step 3: Legitimate public alarm is quickly met by a claim of appreciation for Christian day schools. I wish we could do better. Today is the sixtieth anniversary of the death of Professor Dr. Klaas Schilder (19 December 1890 – 23 March 1952). During his life, he was a biblical, Reformed, Calvinist pastor, theologian, and churchman. As a controversial polemicist, he was (and is) as maligned and misunderstood by his despisers as he was (and is) appreciated by his beneficiaries. Especially today in North America, people could profit significantly from his cultural, ecclesiastical, and theological insights. There is enough information available online to supply a rudimentary portrait of his life and work, a reliable entrée into his heart and mind. So today we wish instead to introduce our readers to the sagacious side, the provocative persona, of Klaas Schilder. The author is aware that ‘aphorisms’ of the kind collected here, if they are not to cause injury, can be set only before ‘friends’; for only friends are so familiar with the surroundings and context of someone’s selected sentences that they will be able to sense the husterēma, that which is lacking. Each of these chosen on purpose, for your munching pleasure! 1. “The human person is not reducible to a blob of nature, but is an office-bearer, whose natural gifts are supposed to function according to an official mandate” (17). 2. “A Paradise lost and a Paradise regained, and the path lying between the two, are not a matter of ‘favor’ [Dutch: gunst] as much as they are a matter of mandate, order [Dutch: bevel], and commandment” (17). 3. “In the notion of office, people encounter God’s primeval claim on human beings” (17). 4. “Politics and church are two, aren’t they? Yes, of course, indeed they are. But life is one” (24). 5. “Nowhere can the church avoid political issues, because they touch upon the deepest principles. The question is simply whether the church is willing to prophesy in terms of these issues and dares to employ the power of the keys. Yes, dares—because she must” (24). 6. “The absence of vice is not the presence of virtue” (29). 7. “We must continually keep in view that a church is a gathering of believers, not a gathering of people who think alike on scientific issues” (32). 8. “When people took the ‘covenant of grace‘ as their starting point for the doctrine of the covenant, things went awry; only when people took hold of the issue at the beginning, with the ‘covenant of works,’ did the business get back on track” (36). 9. “Let us never forget that ever since the beginning, the sum total of humanity was placed in a covenant with God” (36). 10. “A covenant never lives by ‘give and take,’ it does not live by ‘yes and no.’ ‘Covenant’ means: everything or nothing. It is never a contract” (37). 11. “Anyone who construes the promise as the basis of the demand rises up once more to weary us with his pet little notion of a covenant made only with the elect that comes into existence through and after the renewal of the heart” (38). 12. “Religion in a human being cannot be equivalent simply to being raised up passively and receptively into a state of peace; for the covenant posits a person’s activity as condition for covenant concourse. A person’s entire existence participates in this activity, including one’s thinking and willing” (38). 13. “The method is wrong that applies a statistical measure of so much percent ‘law’ and so much percent gospel, so much percent threat in contrast to so much percent ‘comfort.’ For wherever the law is proclaimed purely, the final tally is: one hundred percent law, since there we have one hundred percent gospel” (40). 14. “Irony is the strength of the weak, sarcasm is the weakness of the strong” (92). 15. “Irony is always a certain victory. But sarcasm is the certain defeat, except it imitates the gesture of the victor” (92). 16. “Faith is indeed a gift of our covenant God, but it is simultaneously a condition that he establishes. A condition established for us in order to arouse in us a sense of responsibility, to stimulate and even to preach that awareness. Not an Arminian condition, but rather a Reformed condition” (94). 17. “Anyone craving isolation is sick. Anyone not daring to be isolated when compelled to be so, is more sick” (95). 18. “Christ loved the poor, but not poverty. Making rich—that is God’s work” (96). 19. “The gospel posits no condition of any kind, it asks nothing, it demands nothing, except this: that it be accepted in the obedience of faith” (96). Before proceeding, let the reader be clear: people who are equally heartily committed to the Bible’s truths confessed in the Three Forms of Unity and the Westminster Standards may disagree over how these truths are to be applied. The point of this post is a historical point, not a doctrinal difference, not a confessional disagreement, not a dispute about the validity of paedo-baptism. It is a point, however, with significant pastoral implications. Given recent ecclesiastical discussions within Dr. Michael Horton’s own denomination, the United Reformed Churches in North America (URC), and given the practices of so very many orthodox Reformed and Presbyterian denominations around the world, his statement here simply cannot be allowed to go unchallenged. Historically, Reformed and Presbyterian churches have required professing members and their children to be baptized. In the former, arising from Continental Reformed sources, all church members confess the Three Forms of Unity (Belgic Confession, Heidelberg Catechism, Canons of Dort) as the faithful summary of Scripture. What this means is that in Reformed churches historically, only those who affirmed the inclusion of children in covenant baptism could be members. Especially in the U.S., Presbyterian churches came to require only officers to subscribe the Westminster Standards. In Presbyterian churches, it has meant that all of the children of members should be baptized. What to do if they’re not is a matter of some debate and variation. The statement highlighted in bold italics is substantively, verifiably, and culpably false. It is substantively false, because at its Synod of the Hague in 1914, the Reformed Churches in the Netherlands decided to permit people who did not yet believe infant baptism to become members as long as they remained educable on the matter, did not agitate for their views, and exercised no leadership in the congregation. Although the Synod of Dort [1618-1619], presumably for the reasons we shall mention, did not give an affirmative answer to this question [whether someone not believing infant baptism was permitted to the Lord’s Table], nevertheless it appears from both the conduct of our older Reformed Churches and from the pronouncements of our best theologians, that with respect to members of the congregation (not with respect to office-bearers, for whom entirely different rules apply) who with good intention expressed doubt concerning any point of doctrine, so long as this did not affect the fundamental matters of truth, they should be treated with great patience and forbearance, with the proviso that they would exhibit readiness to be better instructed and that they would not propagandize on behalf of their deviating sentiment. [Gisbert] Voetius (in Politica Ecclesiastica, Part I, tract I, ch. IV, p. 56) correctly deduces from this that Scripture commands us to show such tolerance not only toward those who are ignorant, but even toward those who err. And although such tolerance will naturally be extended more broadly toward those who are already members of the congregation than toward those who affiliate for the first time with the church—because the church must see to it that she permits no enemies of the truth within her gates—nevertheless our forefathers showed, even during the time of the Remonstrant quarrels, how they dealt very patiently not only with members of the congregation who belonged to the Reformed Church and continued to harbor more or less Remonstrant sympathies, but even with those who for a time had joined the Remonstrant brotherhood and later wanted to return to the Reformed Church. Thus, such people were not required, for example, to subscribe to the Five Articles against the Remonstrants in their entirety, but a somewhat less sharply formulated declaration was substituted, as happened, for example, with the consistory in Utrecht. 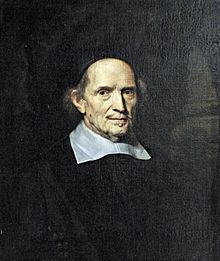 Although your committee [advising the Dutch Synod] is united in its opinion that, no matter how important the doctrine of infant baptism may be to the Reformed Churches, this doctrine nevertheless cannot be said to belong to the fundamental doctrines of the faith, and therefore tolerating a deviating view regarding this point of doctrine on the part of a brother who for the rest agrees wholeheartedly with the Reformed confession, does not appear to us impermissible. To this we would add that the response to the question whether in a particular case such tolerance is permitted, depends on a variety of circumstances, which cannot be evaluated by the General Synod, but only by the local consistory or classis. This variety of circumstances includes such considerations, for example, as whether the person involved is unmarried and past child-bearing years, in which case his deviating viewpoint regarding infant baptism would have practically no influence; or whether he already has children or presumably may receive children, in which case he should certainly be required to allow these children to be baptized. . . . This position was later adopted by the Christian Reformed Church in North America (CRC). At no point during the ecclesiastically turbulent decades of the 1970s, 80s, and 90s was this CRC position publicly criticized or cited as evidence of denominational unfaithfulness. Especially not by those, including Dr. Horton, who left the CRC to form the URC. Secondly, Dr. Horton’s claim, published on the Gospel Coalition website, is verifiably false, because, since his own denomination (URC) has been studying this very issue for some years, the publicly available report of its own study committee contains an explanation of this historic 1914 decision and its role in the life of (continental) Reformed churches worldwide. Finally, this claim is culpably false, since one of its damaging effects will be the advocacy of a narrow, sectarian, and pastorally unhelpful solution to a dilemma that has confronted faithful Reformed and Presbyterian churches for centuries. Despite every suggestion and appearance that his narrow claim constitutes the classical, confessional, continental, ecclesiastical Reformed tradition, on this issue Gisbert Voetius and the 1914 Synod of the Hague are far more reliable, nuanced, and pastoral guides. Translator’s Note: This is the second “In Memoriam” being published in translation on this blog, this one written by Trimp’s friend and colleague, Dr. J. Douma. My personal interest in making this available to the English-speaking world is multi-dimensional. Back in the early 1980s, I studied at the Theological University of the Reformed Churches in The Netherlands (Liberated) with these professors (principally, J. Douma, J. Kamphuis, C. Trimp, and J. van Bruggen), and since that time, we became personal friends. Throughout the years since then, I have enjoyed the privilege of translating a number of their significant theological works. More than that, during the years after these men and other colleagues retired from teaching, life among the Liberated Reformed Churches in the Netherlands has become challenging. Their testimony and legacy deserve to be heard throughout the English-speaking world, if only so that we might assure our Dutch brothers and sisters that we share their challenges and wish for a joint, unified, global Reformed response to the issues that face all of us in a shrinking world. Because we are united in commitment to one faith and one Lord, none of us can “go it alone.” We offer our heartfelt condolences to our co-believers in their—and our—loss of yet another faithful V.D.M. Only a short time after the death of J. Kamphuis another former teacher from Kampen has passed away: Professor C. Trimp. It is understandable that in this particular venue, we would remember him as a capable teacher who, after having served four congregations as minister, was a professor in Kampen from 1970-1993. He taught subjects relating to ministerial studies, including components like preaching and the liturgy that belong to church services, as well as the spread of the gospel beyond the church. Various publications appeared under his name. In them, this theologian showed clearly what “ministerial” theology (nowadays called “practical theology) meant to him. His own theological training, with its focus on dogmatics, could be recognized throughout his work. He was not the kind of author who wrote popular guidebooks about “What is prayer?,” or “How should we sing in church,” or “What should a sermon do for me?,” and the like. He expected that his pupils would be able to convert the expensive currency of their teacher into usable coinage for church members. I had the privilege of working alongside him during his entire period in Kampen. We began our work there in the same year (1970). We collaborated extensively in connection with the magazine De Reformatie. There was a time when we took turns producing the column entitled “Ecclesiastical Life.” I cannot remember ever disagreeing with each other about the course that the magazine had to chart, not even when it involved controversial issues within the churches. Especially during that time when we faced the internal conflict within the Reformed Political Union (Gereformeerd Politiek Verbond, GPV) about the question whether this (Liberated Reformed) political party should become “open” or should remain “closed” to people with other church affiliations. We shared the same view. Which was what? That it would be a mistake not to collaborate in the political arena with people of similar commitment, simply because we were not ecclesiastically united. So in June 1981, Trimp and I signed a “Declaration of 77 RPU Members” who were pressing for a possible merging of nominee ballots along with two other Christian parties (the Reformed Political Party [SGP] and the Reformational Political Federation [RPF]). Anyone reflecting on today’s situation, who would read the “letters to the editor” that appeared in the Dutch Reformed daily newspaper, Nederlands Dagblad, as a result of this Declaration, would be surprised at what we got hurled at us. It seemed as if our 1981 Declaration was just as threatening as the “Open Letter” that had appeared back in 1966! Speaking of the “Open Letter”! Many people think that opposing the Open Letter, written on 31 October 1966, was the work of Professor Kamphuis. But anyone who digs into the history will observe that the struggle against the Open Letter was begun not by Kamphuis, but by Trimp. Kamphuis had been sidelined by a car accident that landed him in the hospital. At that point Trimp took over the editorship of De Reformatie, and criticized the Open Letter with sharp formulations. In December 1966, he addressed a “Response to the Open Letter” to the person who had initiated the conflict, wherein he devoted particular attention to the liberal views of Rev. 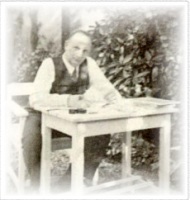 B. J. F. Schoep, the actual author of the Open Letter. Forty years later Professor Trimp would continue to defend his opposition against the Open Letter, in an interview he gave to the Nederlands Dagblad (October 2006). In 2006 already he knew that many members of the Liberated Reformed churches were inclined to don the penitent’s shawl with respect to the split with the Netherlands Reformed, a division that should supposedly be blamed on the Liberated Reformed “diehards” of forty years ago. Trimp wanted nothing to do with a narrow view of the church, something that reappeared in 2006. Not everything is dependent on ecclesiastical membership. He was pleased with André Rouvoet as the leader of the Christian Union, though the latter was not affiliated with a Liberated Reformed Church. So too Trimp was fond of organizations lending charitable assistance, like the Society for the Protection of the Unborn Child (VBOK), which had no ecclesiastical basis. This flexibility is a normal development that accompanies becoming an adult. But that is something altogether different from opposing a deviation from the Confessions. Calling that “a little Dutch dust-up” hurt him deeply. We may call to remembrance the life and legacy of Professor Trimp, on the one hand, in his aversion to a narrow view of the church, and on the other hand, in his continued defense of the great value of an unambiguous binding commitment to the church’s Confessions, as we find them in the Three Forms of Unity. We should not be ashamed of that binding commitment. Occasionally it seems as though some think that we actually should be ashamed of that. In the past I have indicated in this column that we are actually en route to an assumed toleration when it comes to discussing relationships between the Netherlands Reformed Churches (NGK) and the Reformed Churches Liberated (GKV). We must become united, people insist. And who are we to object when we hear the wailing and gnashing about our allegedly “harsh” conduct after 1966? I am prepared to travel a long way, and to confess my own guilt where missteps are concerned. In fact, I have already done so. Perhaps I would go further than Trimp would have preferred to go. For example, I do not believe that during that time there was sufficient basis for deposing a signatory of the Open Letter, on the basis of the mere fact that a person had signed this Letter. But I am not prepared to be ashamed about the conduct of people like J. R. Wiskerke, C. Trimp, and J. Kamphuis—I joined them back in 1966—when our unambiguous binding commitment to the Reformed Confessions is at stake. Sometimes it seems as if we are supposed to be ashamed of ourselves and crawl in the dust before our Netherlands Reformed brothers who have suffered O so much under our alleged “tyranny.” To them I reply: When will you finally be crossing the bridge by donning the penitent’s shawl yourselves and fully honoring the intentions of these leaders we have mentioned? You hurt them deeply by demonstrating your dislike toward them. That is, by continuing to identify what during that period they considered to be vitally essential for ecclesiastical unity as “a little Dutch dust-up.” My answer to the members of my own Liberated Reformed Churches who are pressing for this church unity is this: You honor the legacy of your leaders by not feverishly clamoring that we must become united with the members of the Netherlands Reformed Churches, or claiming that in actuality we are already united with them. You dishonor that legacy by insisting that we should assume a measure of toleration at any point where they want to continue making allowance for deviating from Lord’s Day 22, for women in the offices of elder and minister, for accepting homosexual practice within the church, and possibly for still other matters. The voice of our recently deceased leaders must not be muted.